May Franco be called a “dictator” after all? Público reports on a new chapter in the ongoing saga around the controversial Diccionario Biográfico Español whose first 25 volumes were issued a year ago by the Spanish Royal Academy of History: The commission appointed to investigate the case has recommended that an appendix be published with a supplemental biography of Franco, along with nine others. 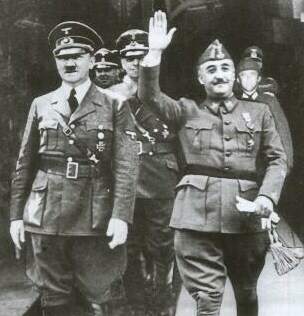 The existing entry on the former head of state, written by known Franco-apologist Luis Suárez, made no reference to the regime’s repressive nature and did not once use the word “dictator” in relation to Franco.